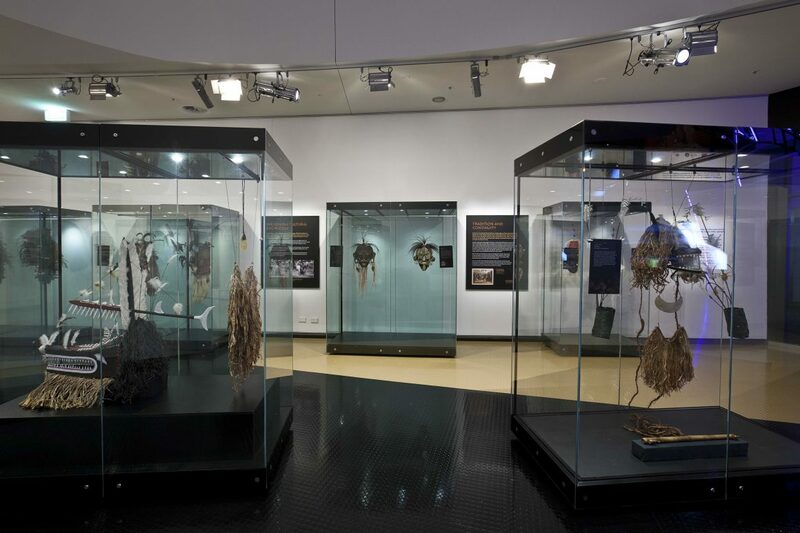 Evolution: Torres Strait Masks opened at the National Museum of Australia in May 2017. 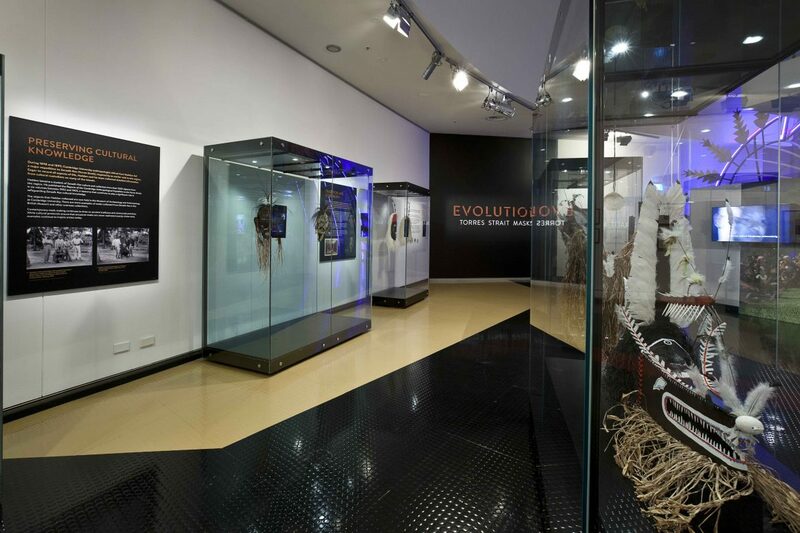 Gab Titui Cultural Centre developed this exhibition in 2016. It has since travelled around Australia. 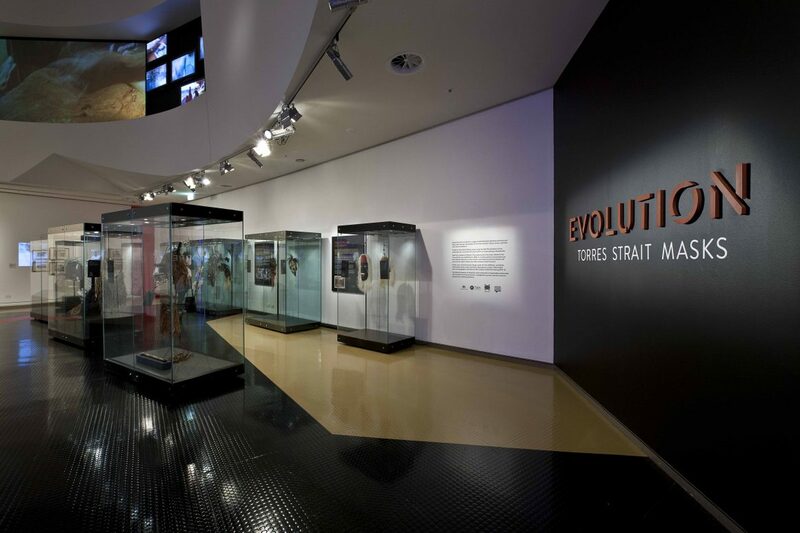 The exhibition was held in the Gallery of First Australians at the NMA, alongside our other design, A Change is Gonna Come. Gab Titui commissioned a number of artists to make the masks, highlighting the rich and ongoing culture of mask-making in the Torres Strait region. We responded to the strength and beauty of the masks by designing a pared back space. 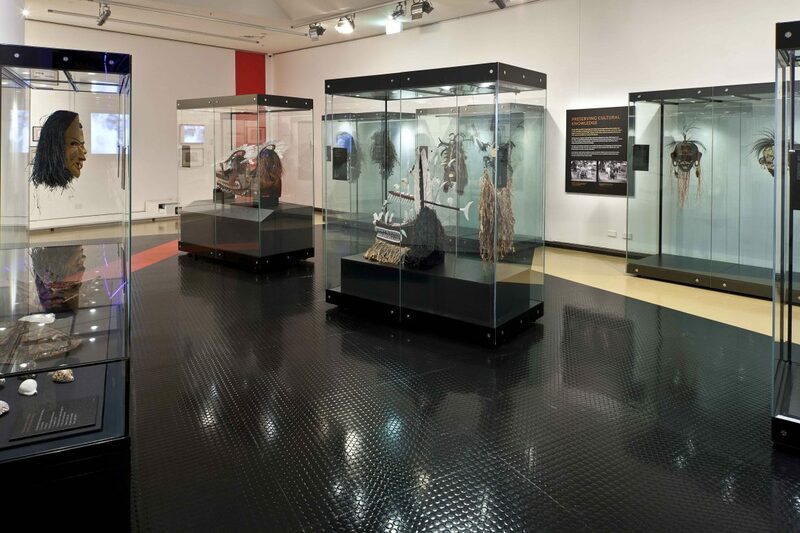 We started by minimising the presence of the showcases by removing the backing boards. In this transparent setting, the masks become dominant and dramatic. The masks sit at eye height, so that the visitor and mask stand face to face. A strong yet minimal graphics suite by Maria Mosquera Design + Illustration matches the materials used in the masks.